MLB reports – Jonathan Hacohen: The big news of the day in Houston is the approval of the sale of the Houston Astros to Jim Crane. Drayton McLane is out as owner. The final price tag for the team was $615 million. The catch? Starting in 2013, the Astros are being realigned to the AL West. “Houston” has played in the National League since 1962, the year the team was awarded the franchise. But after 50 years playing NL baseball, the Astros are off to play in the American League. Houston fans are somewhat dismayed…all the way to upset. There are season ticket holders that are choosing not to renew their ticket packages. Attendance is down. The team has gutted to the point that it is almost a AAA team. Now, the team is being moved to the American League. For fans of National League baseball, this move is hard to swallow. A big advantage of the move is the rivalry that will come into place with the neighboring Texas Rangers. But with the Mariners, Angels and Athletics in the same division, time zones will be a big problem for Astros fans watching road games. With all the minuses in the equation, something else needs to be done. The move to the AL, may create somewhat of a buzz, but perhaps not enough to repair the damages that will result from the move. The solution? Re-brand the Astros. Bring back the Colts .45s. For you baseball history buffs, the Houston Colt .45s was the original name for the Houston MLB franchise. The name was conceived by a “pick the name contest”- and what a name it was! With the idea of the “old west”, the idea of the old colt .45 gun was very cool and classic. It really fit the Texas mold. The team even played at Colt Stadium. But three years later, the team had its own indoor stadium. The famous (or infamous) Astrodome. For thirty-five years, the Astrodome was known as the first indoor MLB stadium with the first non-grass surface (appropriately named AstroTurf). With the space program popularity in Houston, the team very much built itself on the “Astro” concept. The Houston Astros. AstroTurf. The Astrodome. But now, Houston: We have a problem. The team changed locations into a retractable roof stadium in 2000. Originally named Enron Field and now Minute Maid Park. No more Astrodome. The field in the new park, was grass. No more AstroTurf. In fact, only the Rays and Blue Jays still play on turf. So with the Astrodome and AstroTurf gone, why stick with the “Astros” name? The space program connection was probably very hip and trendy in its day. But as long as I can remember (80’s – Present), the Astros name is not a beloved or dear brand. It is time to end the final link to the Astros days. Everything old is new again. Retro is in. 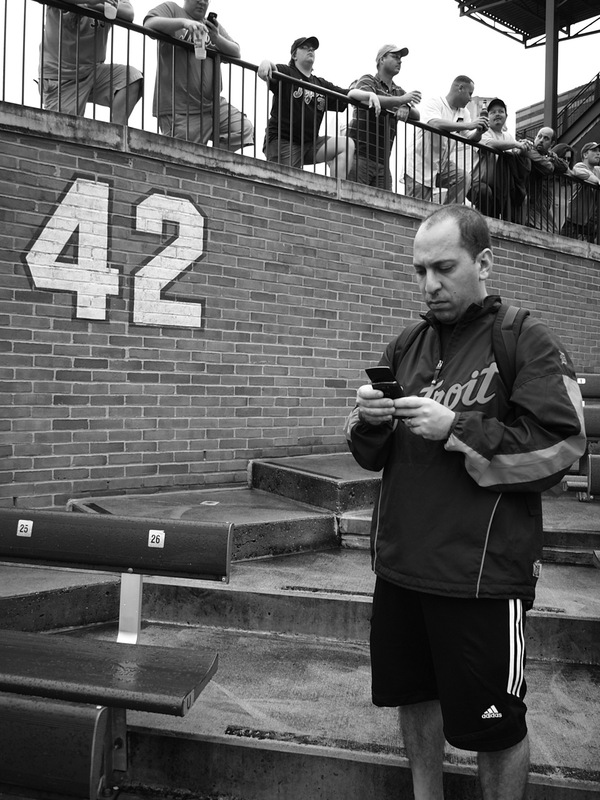 People love nostalgia, especially baseball fans. I can’t recall one baseball conversation that I have ever had that included the Colt .45s without the party getting excited. There was something about that name and logo. Part of it was the short life span (only three seasons). It is a very “cool” name. Original. You just don’t see a sports team with a name like that. Then you take into account the logo and Colt .45s envy begins. I have been to Cooperstown. I have been to many major league stadiums. Bring up the Colt .45s name and you generate excitement. So here is my proposal. Starting in 2013, to coincide with their move to the AL West, the Houston Astros would become known as the Houston Colt .45s. The result? The team would carry excitement and interest everywhere they go. Merchandise sales would be through the roof. For a team with a sub-par talent level playing in a league that is largely opposed by its fan base, renaming the team would give the edge that is needed. I know what many of you are going to say. I can hear it now. You cannot promote guns. Guns means violence and killing. It will send a bad message. Etc…Etc…Etc… I get it. Yes. Many of you that are sensitive to these issues may be initially “gun-shy” about the idea. But let’s be realistic. There is violence and bad influences all over society, from televisions shows, movies, commercials, music, magazines, video games and much of pop culture. To me, it is not like it is a picture of a bullet or open wound. Much of the younger generation wouldn’t necessarily know that a colt .45 was a gun. From there, with a classic and simple logo- the “gun” part of the colt .45s shouldn’t conjure up violence and negative images. It is simply a a piece of history. Almost a work of art. A piece of Houston history and culture. Like the old wild west. When the Colt .45s come to play, it will be like an old-time showdown. The name is chique. The logo is very hip. It will be a winner. For you baseball fans that are about ready to jump out of your seat and order your Colt .45s jersey, I have some bad news. The name change is not coming any time soon. It still remains a figment of my imagination and passion. But with enough of a vision and push, it could happen. I have seen stranger things develop. I can see only good things happening if the Houston Colt .45s return. Even if the publicity is not all positive, the name change will get many fans talking. A buzz will be created. For a team that is on the decline and with little upside to look forward to, a name change is probably the biggest quick-fix scheme you will find. Let’s bury the Astros name with the Astrodome and AstroTurf. After erasing two mistakes, let’s finish off the third and final portion and bring back respectability to Houston. Let’s give the team an old/new identity. The Colt 45 will become the weapon that Houston uses to climb back to baseball respectability and eventually excellence. I practice daily yoga. Most foods are organic. If you catch me in the supermarket, it will be in the produce aisle. Warrior 1 Yoga was born from my wish to help people be healthy and happy. I preach the 4 key's to life: nutrition, exercise, water and sleep. This is my journey - I am hope to meet you along the way to share a similar path! Posted on November 19, 2011, in MLB Teams: Articles and Analysis and tagged al, astros, baseball, colt .45s, Houston, mlb, nl, realignment. Bookmark the permalink. 5 Comments. 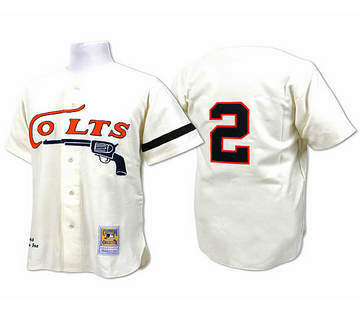 Another reason for the Colts to Astros name change was the objections of Colt Firearms to the use of their trademarked name. That is a new one to my attention, but I suspected as much. That could be negotiated: everything is available at the right price. I hate Jim “Carpetbagger” Crane for his betrayal of the Houston sports fan and 50 years of National League history. He showed us right away what kind of person he is by not standing up for us with Bud Selig. Crane is from St. Louis, he cares very little about Houston … he wants money, and he won’t get it from many of us who are furious. Crane is getting a ton of flack, but let’s give him time before tar and feathering him. He brought in a new solid GM- who looks to rebuild the farm. There is lot of damage to fix. Give him time. M’s fan here who prefers the senior circuit style, and I’m aware of chatter out there in the last couple months since this post. I can appreciate that the Astros need to rebrand the name. 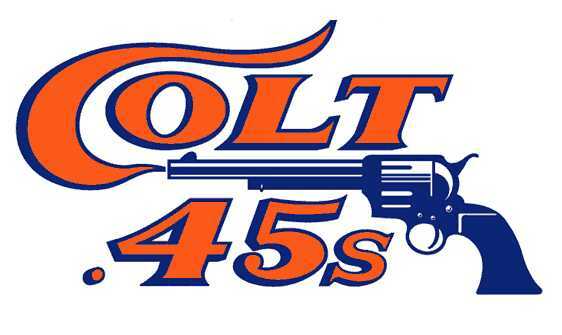 I like your idea….very intriguing, nostalgic, and slick….but it’s probably inviting issues if they try adopting the name Colt .45s. Perceptions can be frustrating things, but — real or imagined — at the end of the day it’s most likely going to raise eyebrows with enough fans (probably amongst parents who have less appreciation for the club’s history) and seen as condoning gun violence. The Washington Bullets changed their name to the Wizards in the 90s for reasons to this effect. I realize it’s playing to a perception issue, and that an outfielder’s more likely to injure themselves running into the pole on Tal’s Hill than through gun violence, but it’s something to think about. Maybe there’s a way to work around it, like simply changing the name to simply the “.45s” and not adopting the “Colt” portion. The “Colt .45s” name probably has an edgy appeal to some, and while I can appreciate that, consider this….and this might not be the best example, but all I can think of — look at the unfair accusations thrown at Marilyn Manson and the whole Columbine thing — you just wouldn’t want to invite a scenario where there’s a tragedy that pulls the club’s name into question. Rebranding aside, I understand the anger of baseball purists in Texas who have enjoyed the NL style of strategy and and watching pitchers bat for the last 50 years. For me, AL ball is akin to softball and removes managerial options from the game. It makes it less interesting and appealing for a purist like myself. It’s too bad MLB couldn’t expand and figure out a way around bumping another team between leagues. However it should be a great cross-state rivalry with the Rangers….but if I was a Houston fan, I guess I’d be pissed and reluctantly try to get over it. Will look forward to seeing something in the vein of the .45s at Safeco in a year, but I’d rather do interleague play with a new Portalnd expansion club.